Dr. Todd Phillips is the Founder and Executive Director of The Last Well, an initiative to eradicate water borne illnesses and spread the Gospel to the entire nation of Liberia. After a life-changing spiritual awakening at age 24, Todd devoted the next twenty years to spreading the Word around the world as an evangelist and pastor. Fifteen of those years were spent serving as pastor to four young-adult-focused, evangelistic ministries: Austin Metro (Austin, Texas), San Antonio Metro (San Antonio, Texas), The Soul Café Church (Kerrville, Texas), as well as serving as the Frontline Teaching Pastor at McLean Bible Church (Washington D.C.). These four ministries combined reached over 40,000 young adults with the Gospel. He recently served as Teaching Pastor at Lake Pointe Church in Rockwall, Texas before taking on his current full-time role with The Last Well in March 2013. His vision for The Last Well came while he was the Senior Pastor of Frontline Church in Washington D.C. Many of the young adults who regularly attended one of ten Frontline Campuses around D.C. saw the movie, Amazing Grace. The movie chronicles the life of William Wilberforce, a Christ follower credited with ending the slave trade in the U.K. After the movie was over, the audience came to Todd Phillips asking, “Why can’t we see God end something in OUR generation like he did when he ended the slave trade through William Wilberforce?” From that question, The Last Well was born. 100% of the proceeds from this site will go towards providing clean water and the Gospel to Liberia. Learn more and find out how you can get involved! Everything that happens on this site is going to help transform a nation halfway across the world and you and Todd will be transformed in the process too. 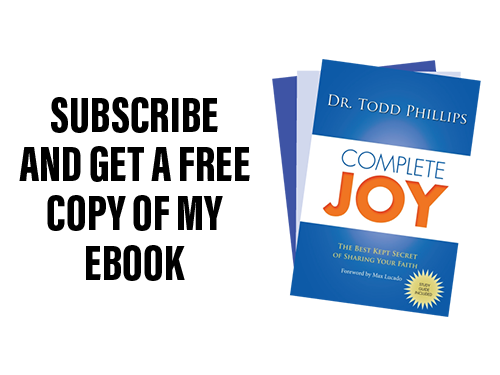 Todd Phillips is the author of Get Uncomfortable, Complete Joy (subscribe for your free ebook version), and a series of Bible Studies to empower young adults to change the world in the name of Christ. 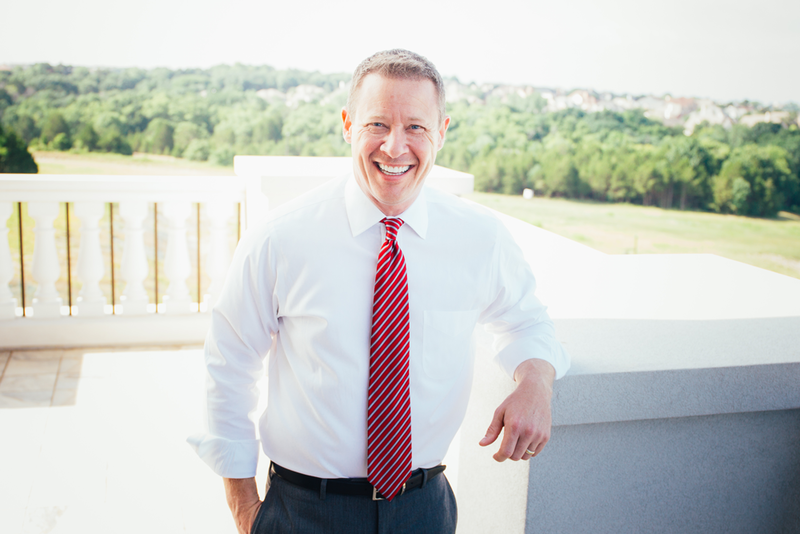 Todd holds a Master of Divinity from Southwestern Theological and a Doctorate from Dallas Theological Seminary. He and his wife, Julie, have three children and live just outside Dallas, Texas. This world constantly screams “take all you can get,” while God, in His still, small voice whispers “give all you’ve got.” I have a passion to drown out the noise of this “take all you can get” world by turning up the volume on the voice of God in the lives of every person who truly wants to live a life of passion and purpose. I want us all to be difference-makers. My mission is simple – to motivate, cast vision, and push men and women to foster a “healthy sense of self-forgetfulness” that flies in the face of our “take all you get” culture. I write on the topics of spiritual development, personal development, and making a difference as well as reviewing books, sermons, podcasts, and other relevant blogs so you can hear from other difference-makers as well. Occasionally, I write about stuff that doesn’t fit neatly into any of these categories (because I just can’t help myself). Everything that happens on this site is going to help transform a nation halfway across the world and you and I are going to be transformed in the process too.